Fish feed pellet mill is the pelleting machine that directly pressed the crushing material like corn, soybean meal, straw, grass, rice husk into feed pellets. It is widely used in large, medium and small aquaculture, livestock farms, poultry farms, and large, medium and small feed processing plant. As is known to all, the particle machine is divided into two series, the flat die series and the ring die series. According to the production, it can be divided into: straw feed pellet machine, wheat bran feed pellet machine, soybean meal feed pellet machine, corn stalk feed pellet machine, sawdust feed pellet machine, etc.. A variety of different feed pellet machines are to be classified by the appearance and production methods. Flat die pellet machine adopts belt, worm gear and worm wheel mechanism, with the smooth rotation, low noise, material feeding relies on its own gravity, to avoid clogging. The speed of the spindle is about 60rpm, the line speed of the roller is about 2.5m/s, which can effectively remove the gas in the material and increase the tightness of the product. Because of low speed, reduces noise and component wear at run time, it can produce high fat and high sugar honey products. 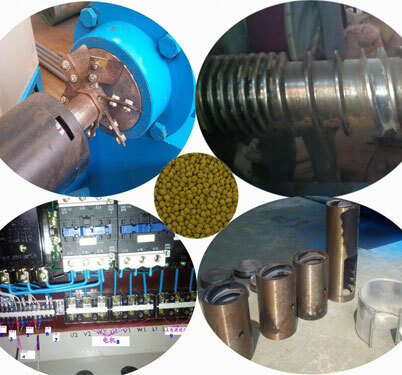 Roller bearings have permanent lubrication and special seal, which can prevent the lubricant polluting feed raw material in granulating process and reduce the loss of lubricant. Flat die type fish feed pelleting machine has a variety of aperture and compression ratio of the flat mode to choose, φ12-30mm. According to different needs, the user can choose the flat mode with different aperture and compression ratio to obtain the best technical and economic benefits. 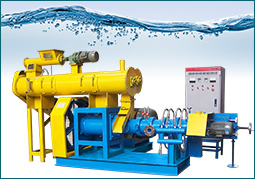 1.Dry into and dry out (raw material moisture is not less than 13% of the national export volume of water), using differential mechanism, universal joint driving. Adopting electric motor or diesel engine makes it low energy consumption, high yield, easy operation. 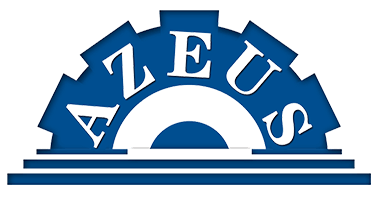 2.Using the new technology of extrusion granulation and polishing, which completely solved the traditional granulation process of low organic raw materials(about 30%), the difficulty of granulation, raw materials need to dry grinding and other key technical problems. A model of this machine uses three times extrusion, the pressing area is increased to 3 pressing wheels, the inclined roller can reduce friction and energy consumption, increase production. 3.It can produce different shapes of feed particles; and the particle is uniform, smooth, round the whole, high strength, good mobility. 4.It use the unique process of three in one machine to complete the whole process of low temperature drying, cooling, screening process. Less equipment investment, low operating cost. 5.It’s widely used in animal husbandry, aquaculture, large or small farms, feed plant and other industries. It is the preferred ideal equipment for feed production enterprises. The ring die fish feed pellet machine should be more familiar than the flat die type, because many domestic and foreign feed companies are using ring molding machine. The raw material is fine feed, such as corn, soybean meal, cottonseed meal, and so on, the adhesion rate is high. In addition the granulation with steam conditioner, can advance to the softening and curing effect on the material, and thus better granulation, increase particle gloss. Ring die fish feed pellet mill is the main feed machinery and equipment in the production of pellet feed, its performance largely determines the production output, occupies a very important position in the process of feed processing. 1.Simple structure, wide applicability, small floor area, low noise. 2.Powder feed, like grass powder, do not need to add a little liquid. Therefore, the moisture content of pellet feed is basically the moisture content of the material, which is more conducive to the storage. 3.Pellet feed can obtain higher economic benefit than mixed powder feed. 4.The pellets produced by dry material have high hardness, smooth surface and internal curing, can improve digestion and absorption of nutrients. 5.The forming process of particles can make the grains and legumes trypsin resistance factor in degeneration, reducing the adverse effects on the digestion, can kill all kinds of parasite eggs and other pathogenic microorganisms, reducing the variety of insects and diseases of digestive system. * Feeding way: ring die pellet machine adopts mechanical force feeding into granulating chamber under high speed rotating centrifugal power, through the scraper to distribution of material, feeding is not uniform; flat die pellet machine relies on the weight of the material itself into the press room, which can uniform feeding. *Pressure: in the mold under the same diameter, the diameter of ring molding wheel is limited by the diameter of ring mold, so the pressure is limited; the diameter of flat molding wheel is not limited by the diameter of flat mold, it can increase the bearing inner space. Selecting of large bearings to enhance the bearing capacity of the press wheel is not only improve the roller pressing force, but also prolong the life. *Discharge mode: the ring mold has a high speed, the damage rate is high when the material discharged; while the flat mode has low speed, so the damage rate is low. *Press wheel adjustment mode: ring die fish feed mill uses the two screws, which are on the eccentric wheel in the middle of the press wheel, to adjust pressure; flat die granulating machine is adopt screw thread column center adjusting mechanism, one hundred tons top force, falling steadily, soft touch, uniform pressure. Rotating manual and hydraulic automatic, the two ways can be used. With the progress of times, in order to have a higher profit margins, feed manufacturers and farmers have been pursuing a more cost-effective equipment. 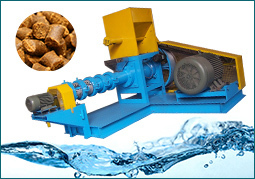 In recent years, fish feed extruding machine was used in many aquaculture and feed plants over the world. For example, with the rapid development of fish farms in Indonesia, commercial fish meal sector has been more and more prosperous. To improve the quantity and quality of its exports and to remain competitive in regional trade, it is essential and urgent to modernize fish meal equipment and adapt production techniques. Another large aquaculture country is Nigeria, due to their government’s support and great local raw materials available, floating fish feed production in Nigeria is profitable business. 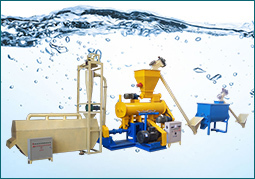 Therefore, the number of using floating fish feed machine has been increasing.